When it comes to learning, we understand principles and concepts much better if we can put them into action rather than passively learning by reading. 3D printers give teachers new ways to teach various school subjects by giving students the hands-on experience. Students learn by becoming makers. 3D printing is an interactive technology that gets students engaged about learning. 3D printers are great as an educational tool for students of all ages, from children as young as K12 all the way to young adults in colleges and universities. 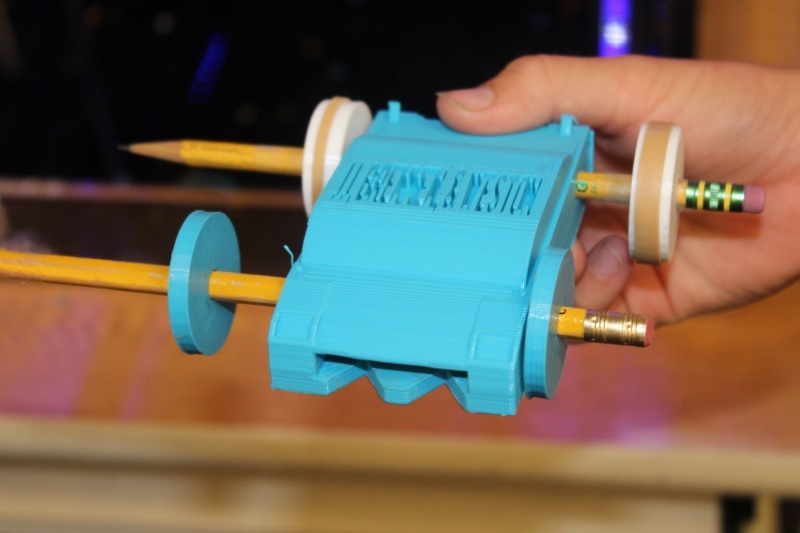 3D printing can be used as visual materials for any lessons and can be helpful anywhere. To be considered as STEM subjects, such a printer can and even should be available for learners as it can replace thousands of expensive models, images, photos and other visual materials. In addition, it is perfect for project-based learning and keeping students engaged and interested. While it’s easy to get excited about implementing 3D printers into the classrooms, it doesn’t come without hurdles. Let’s examine some of these challenges. Challenge #1: What will 3D printing teach my students they don’t already learn in my class? Integrating STEM (science, technology, engineering, and math) education into the classroom is becoming increasingly important. 3D printing demonstrates how things they learn in school can actually be put to use out in the real world. For example, the 3D Printer Maker Challenge is a program that encourages schools to inspire their students to design and manufacture a product that will solve a problem, need, or want using 3D printers. The program is an integrated STEM project that incorporates elements of art and design. It inspires creativity, exploration, and invention. La Quinta High School’s exhibit demonstrating their innovative STEM challenge solution. Students created an innovative fork that prevents shirt stains when eating spaghetti. An especially important trait that 3D printing teaches is grit. Angela Lee Duckworth, Psychologist at the University of Pennsylvania, found that IQ wasn’t the only thing separating the successful students from those who struggled. Grit is a predictor of success. Sometimes a design concept doesn’t print out the way it’s intended. 3D printing shows students failures are part of the learning process. They need to develop the tenacity to figure out solutions to their own problems. Challenge #2: 3D printers look like expensive technology. I’m not sure if my school can afford it. Sometimes school budgets might be so tight that it seems challenging to get the necessary funds to bring 3D printing into the classroom. 3D printers might seem like an expensive technology but there are affordable options out there. Companies that sell 3D printers typically offer educational discounts to schools or have an affordable option in support of introducing the technology to students. Get a quote from a 3D printer vendor and see if it fits your school budget. Challenge #3: I don’t have the funds to implement 3D printing into my classroom. Chuck Hobbs, a dedicated teacher at Vista del Mar Middle School in San Clemente, decided that he was going to challenge this obstacle. Having a 3D printer would be a valuable asset in making an impact on the future of his students. He took matters in his own hands by establishing a webpage on DonorsChoose.org 3 where anyone can donate to the good cause of helping him purchase a 3D printer for his classroom. Mr. Hobbs got the support from local parents and friends of the school, and even from a group of science, engineering, and business students at the University of Texas who saw the value of introducing 3D printing to students at a young age. In less than a month, he reached his goal of raising $3,022. He got this technology into the hands of 11, 12, and 13 year olds and it gives them the opportunity to begin gaining skills which will benefit them long into their future. Mr. Hobbs is a great example to students as well as teachers that if you believe in something and act on it, great things can happen! Mr. Hobbs’ students learned new software program, computer-aided design (CAD), and 3D printing. If you do some online research, there are also grants available for schools to apply to help fund the purchase of a 3D printer. Challenge #4: I’m a teacher who is new to 3D printing. How can I teach my students if I’m not familiar with how to use a 3D printer? Learning any new technology, such as 3D printing, might seem daunting at first but 3D printer manufacturers have strive to make 3D printers simple to use, even for students in K12. Companies who sell 3D printers have a support system to help teachers and educators with this learning process. To support the use of 3D printing in the classroom, teachers can download 3D printing curriculums online. They have step-by-step instructions with clearly outlined learning objectives on what students will learn for each lesson. The purchase of a 3D printer usually comes with customer support with an online knowledge center that contains a wealth of guides and videos to get your 3D printer up and running quickly. In addition, a technical support team is ready to provide you with one-on-one help when you need it. Do you have other challenges of bringing 3D printers into your classroom you would like to discuss? Please share it in the comments section.